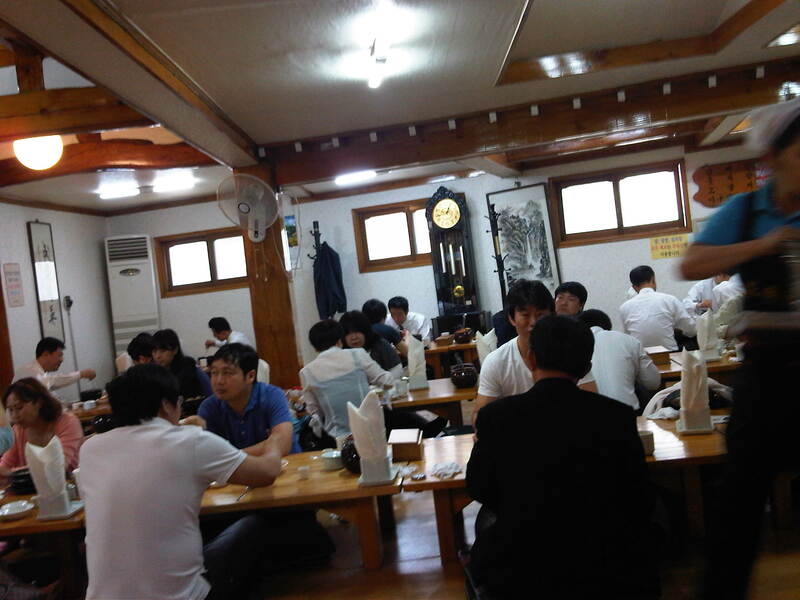 When enter the restaurant dining areas are divided into rooms with a few tables. Guests are to remove their shoes before entering and the dining will be at the low lying tables. There is no chair, just cushions on the floor. 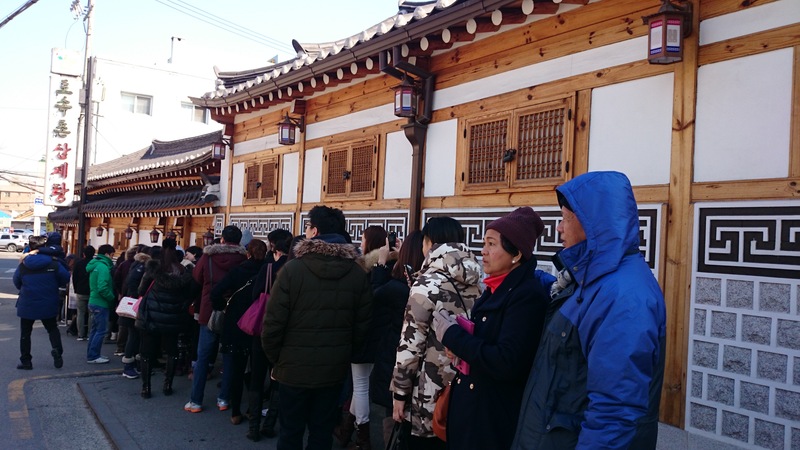 You can feel traditional feel here, you also get to enjoy the dining experience in a Hanok. 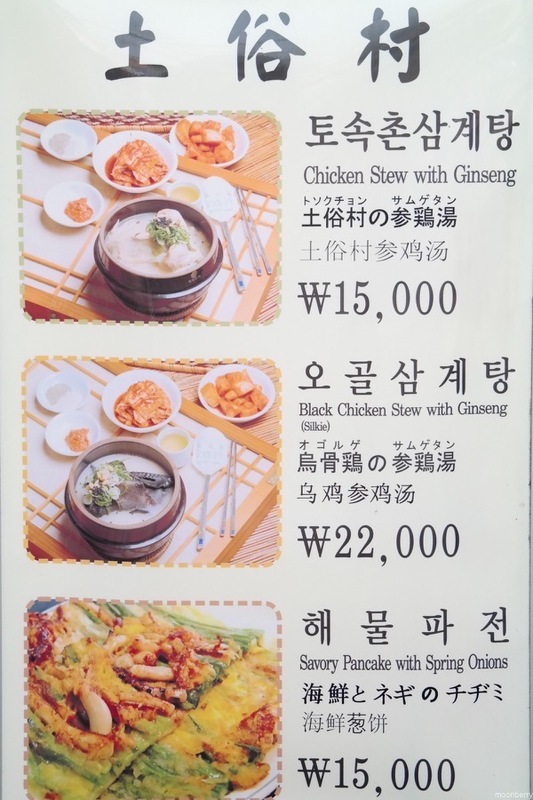 There are two options for the signature Korean Ginseng Soup at Tosokchon, black chicken or regular chicken. The chicken meat is seriously tender. It came in a whole chicken, and all you need to do is to tear it gently in half, where you will find glutinous rice, ginseng, whole garlic cloves, chestnuts and dates inside. The meat is so moist and tender that they just fall off the bones easily, without extra effort. 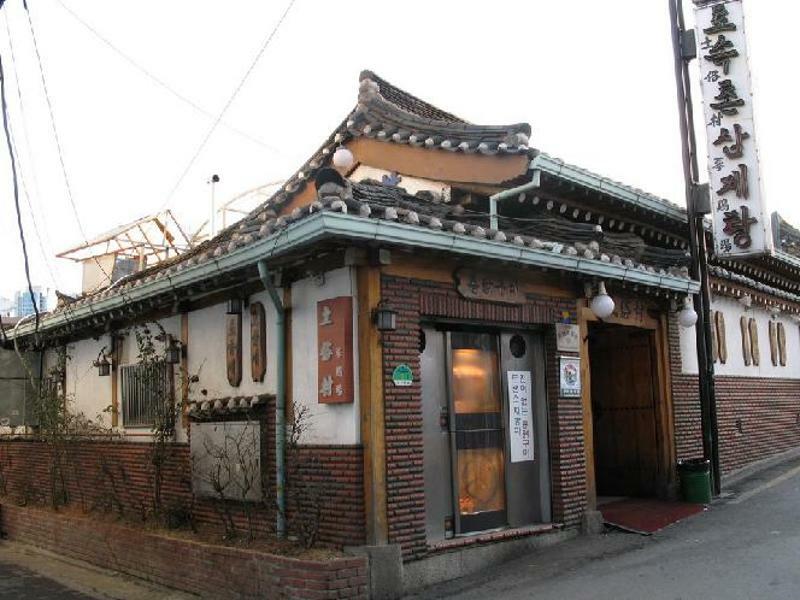 They also serve good house kimchi that has a very balanced sweet and spicy taste the kind foreigners could appreciate better. 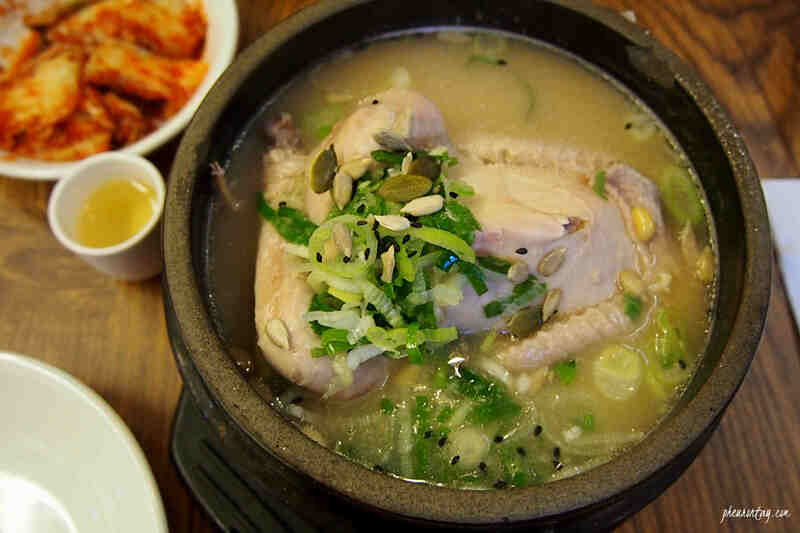 Price for one portion start from 15.000won for reguler samgyetang. Wanna try? 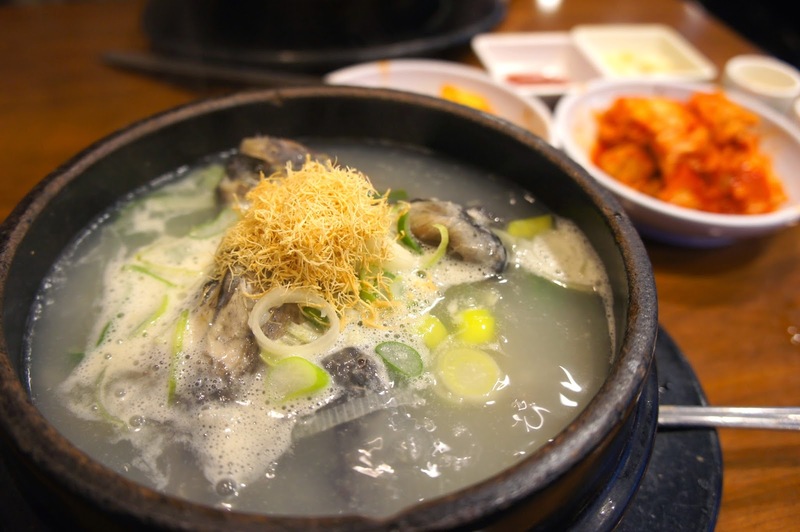 ?How to Get to Tosokchon Seoul? Gyeongbokgung Station (Seoul Subway Line 3), Exit 2. Walk straight about 150m, and turn left into a small alley, Jahamun-ro 5-gil Road. Tosokchon (토속촌) is located 10m ahead on the left. Address: 서울 종로구 자하문로5길 5 (체부동). Opening hours: 10am – 10pm. This entry was posted in FOOD and tagged Dining, dining in Korea, dining in Seoul, Food, food in Korea, food in seoul, Korea, Korea travel tips, Korea trip, Korean, Korean food, Koreatrip, local activity, Seoul, south korea, ‪‎travel, travel planning, ‪‎traveling‬, traveller, trip.